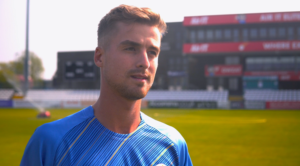 Sam Conners took three wickets and hit an unbeaten 42 as Derbyshire’s Second XI beat MCC Young Cricketers by 83 runs in a three-day friendly at High Wycombe CC. 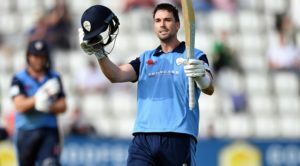 Tom Wood hit 76 not out and Connor Marshall also took 5-38 to guide Derbyshire to victory in their first match of the season, after the friendly was shortened to two days as no play was possible on Day One. Derbyshire were reduced to 16-2 early in the first innings but a half-century from Sam Oldham (52) recovered the score to 120-5 at lunch on Day Two. Daryn Smit captained the side and he combined with Conners for a 60-run partnership to accelerate the score to 210-8. 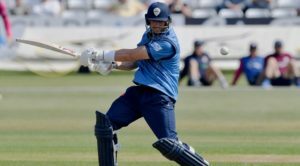 Smit then fell for 44 before Conners went to hit an unbeaten 42 in a last-wicket partnership with Melton (19) worth 46 runs as Derbyshire were 258 all out. In reply, MCC Young Cricketers slipped to 21-2 as Conners and James Taylor claimed their first wickets. Wicketkeeper-batsman Saf Imtiaz then hit 42 before the hosts declared on 114-4 in an attempt to ensure a result in the match. Derbyshire lost three early wickets in the second innings to reach 31-3, but Wood hit a quick-fire 76 in a 112-run stand with Josh Lacey (45 not out) as the visitors declared on 145-3, setting MCC Young Cricketers 290 runs to win. Derbyshire again took early wickets to reduce the home side to 59-4, before half-centuries from Kashif Ali and Fynn Hudson-Prentice gave them hope of a win on the final day. However, a five-wicket haul from spinner Marshall and four catches and two stumpings from Smit meant Derbyshire strode to an 83-run victory.